Artichokes can be quite delicious, especially when cooked properly. However, many people may be unaware that there are lots of artichoke nutrition facts that make this a powerhouse vegetable. The artichoke is also known as the globe artichoke. It belongs to the sunflower or thistle family called Asteraceae, and it has the plant name Cynara cardunculus var. scolymus. The name “artichoke” comes from the word “articiocco,” which is likely influenced by the word “ciocco,” and means “stump.” There are actually 140 different artichoke varieties, but only 40 are grown commercially and sold as food. The edible part of the artichoke is often called the “heart,” and it is the bud of the artichoke flower that forms even before the flower begins to bloom. The flowerhead is a cluster of many small budding flowers, and it has an edible base. The artichoke plant grows up to three to four feet tall and about six feet wide. When the plant blooms, it becomes coarse and it is no longer edible. That is why artichokes are harvested and eaten before this stage. Artichokes were brought to the U.S. during the nineteenth century. Around 1806, French immigrants settling in Louisiana introduced artichokes to the U.S. where they were used in French creole cooking. Spaniards also brought artichokes to the West Coast of the U.S. during the late 1800s, where they are still growing today. Whole artichoke hearts are absolutely loaded with nutrition. One medium-sized artichoke contains about 64 calories. It is also an excellent source of fiber and protein. From a mineral perspective, whole artichokes contain a decent amount of potassium, phosphorus, magnesium, copper, manganese, and iron. There is also some calcium, zinc, and selenium. Artichokes are also an excellent source of folate, vitamin C, and vitamin K. It is also a source of vitamin B1, vitamin B2, vitamin B3, vitamin B5, vitamin B6, vitamin A, vitamin E, choline, and betaine. The following is an artichoke nutrition chart that contains information for one medium artichoke that weighs about 120 g. Keep in mind that you may enjoy one or two artichokes as a side for a meal. Artichokes are a major superfood. Long before artichokes were used in dips, the ancient Romans and Greeks praised them for their aphrodisiac qualities and other health benefits. These artichoke benefits are largely due to the antioxidants and phytonutrients in the leaves of the vegetable. 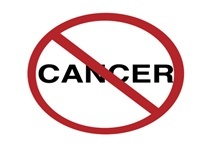 The rutin, quercetin, anthocyanins, and many other antioxidants offer a wide range of artichoke health benefits from immune support to cancer prevention. The vitamin K in artichokes also offers protection against dementia, Alzheimer’s disease, and bone-related diseases. 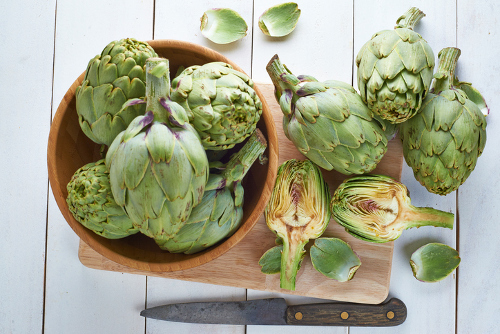 Let’s take a more detailed look at seven of the top health benefits of artichokes. The gut and psychology syndrome (GAPS) diet is commonly used to nourish the digestive tract, restore proper gut health, and treat digestive diseases like inflammatory bowel disease and leaky gut syndrome. Artichokes top the list of vegetables on the GAPS diet due to their ability to boost bile production and detoxify the body. 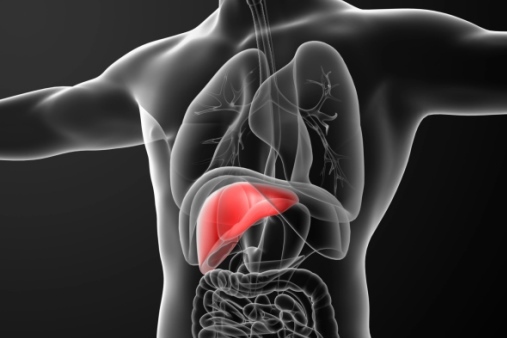 Bile is ultimately responsible for digestion and helping with nutrient absorption. What about artichokes for liver support? The phytonutrients in artichokes thought to have the strongest positive effect on the liver include silymarin and cynarin. Studies show that artichoke leaf extract is very helpful in relieving irritable bowel syndrome (IBS) symptoms such as upset stomach, bloating, diarrhea, and constipation. The high fiber content in artichokes is also very nourishing for the gut lining and liver. Artichokes and artichoke extract are also associated with reducing bad cholesterol levels and improving overall blood flow. Too much of a certain type of cholesterol can increase the risk of heart disease, heart attacks, and stroke. Luckily, the cynarin in globe artichokes is one of the better natural remedies for controlling cholesterol levels. Artichokes contain a number of important antioxidants, including cynarin, gallic acid, rutin, and quercetin. As a result, artichokes have a high oxygen radical absorbance capacity (ORAC) score, and can effectively fight oxidative stress in the body. The ORAC system tests a plant’s ability to absorb and eliminate free radicals. Artichokes may prevent various types of cancer because cancer cells grow partially due to uncontrolled free-radical buildup and oxidation within the body. The antioxidants in artichokes have been shown to lower cancer-cell growth, and may therefore help prevent tumors from getting worse. As mentioned, artichokes are very high in fiber. It is the soluble type of fiber that helps keep off dangerous visceral fat, which accumulates around your organs and leads to various diseases. A high-fiber diet can help people maintain a healthy weight and reduce the risk of diseases. High-fiber foods have a low nutrient density, which means they are low in calories. Fiber helps in weight loss because it can swell and expand in the intestines and stomach, which soaks up fluid and gives you the feeling of being full. As a result, you are less likely to overeat and you won’t have cravings because fiber also controls blood sugar. Anemia is the most common blood disorder in the U.S. Anemia occurs when the body does not produce enough hemoglobin and red blood cells cannot properly distribute oxygen throughout the body. A diet low in iron and iron deficiency are two major causes of anemia, and luckily artichokes are a plant-based food loaded with iron. Low iron levels can lead to anemia symptoms like fatigue, weakness, and poor concentration. The positive effect artichokes have on the digestive tract and liver allows your immune system to quickly heal your skin after it is burned, damaged, or comes into contact with pollutants and toxins. A strong immune system is crucial for the maintenance of healthy skin. Immunity is largely based on the gut wall, and whether nutrients are properly being absorbed. 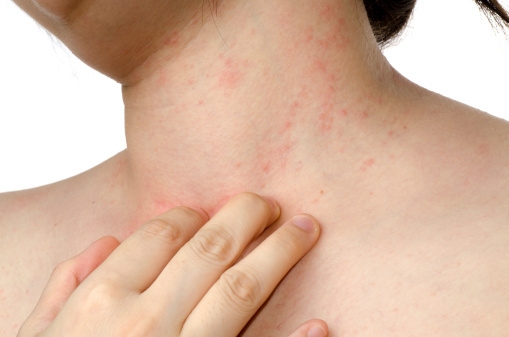 The immune system dictates how well the body protects your skin from bad bacteria buildup and infection. The vitamin C and other antioxidants in artichokes help boost collagen production and reduce your risk of skin-related conditions. They also prevent skin from aging and becoming too dry, losing texture and appearance. When encountering globe artichokes for the first time, they can definitely seem a little intimidating to cook. That is because it is not very obvious how they should be cooked, and this can make artichoke recipes difficult. Artichokes can be boiled, steamed, and baked. Here is a simple recipe for preparing fresh artichokes. Rinse artichokes under cold water. Trim the petals and slice off the top of the artichoke. Also, remove the petals at the base of the artichoke, and cut off the end of the stem. There is also an option to cut the artichokes in half. Fill a large pot with a couple of inches of water, add the lemon juice and garlic cloves, and bring to a boil. Place artichokes in a steaming basket, reduce heat to a simmer, and cook for 25 to 45 minutes, or until the outer leaves can be easily pulled off. To eat, pull off outer petals one at a time, and dip in your favorite sauce or melted butter. After all petals are eaten, you can cut up the artichoke heart into pieces and dip into the sauce. For a dipping sauce recipe, check out the recipe below. There is also an option to bake your steamed half-artichokes in the oven at 375°F for about 20 to 25 minutes. Also, add some olive oil, garlic, oregano, grape tomatoes, and other choice toppings for greater flavor. Add all ingredients into a blender and combine on high speed until emulsified. The recipe makes about half a cup of dipping sauce. When buying artichokes, choose those with the petals still closed. They will be fresher and more tender than the open-petal artichokes. Artichokes are grown commercially in California and are available all year, with peak seasons being spring and fall. It is also important to keep in mind that for a small number of people, artichokes can cause some side effects like allergic reactions and intestinal gas. People allergic to plants like ragweed, daises, chrysanthemums, marigolds, and the like are at the greatest risk of an allergic reaction. As a result, it is a good idea to speak with your health-care provider before eating artichokes or taking artichoke extract. It is also thought that artichokes may worsen bile-duct obstruction by increasing bile flow. By increasing bile flow, gallstones may become worse. People with a bile-duct obstruction or gallstones should use caution and also consult with their doctor before eating artichokes. “12 Unexpected Artichoke Health Benefits,” Ocean Mist http://www.oceanmist.com/artichokes/12-unexpected-artichoke-health-benefits/, last accessed February 6, 2017. Bauer, E., “How to Cook and Eat an Artichoke,” Simply Recipes; http://www.simplyrecipes.com/recipes/how_to_cook_and_eat_an_artichoke/, last accessed February 6, 2017. Fidler, J., “8 Artichoke Health Benefits to Boost Total Health,” Natural Society, August 6, 2015; http://naturalsociety.com/8-artichoke-health-benefits-to-boost-total-health/. “Artichokes,” Organic Authority, December 6, 2010; http://www.organicauthority.com/vegetables/artichokes.html. “7 Health Benefits of Artichokes,” Dove Med; http://www.dovemed.com/7-health-benefits-of-artichokes/, last updated May 15, 2015.